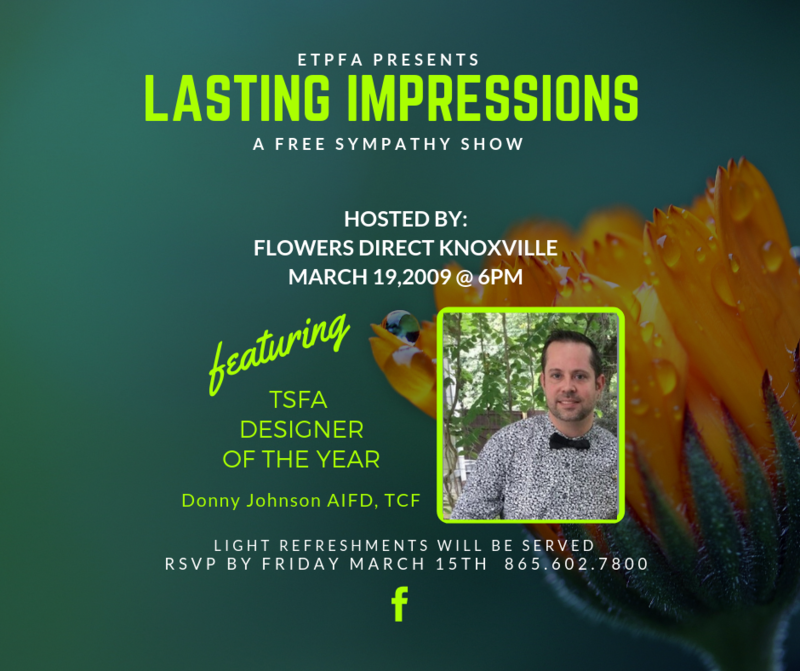 Donny Johnson AIFD, TCF will present a sympathy show at the ETPFA meeting. See flyer for more information. Don’t miss this educational opportunity. E.T.P.F.A. WILL HOST A SYMPATHY SHOW BEGINNING AT 6PM. 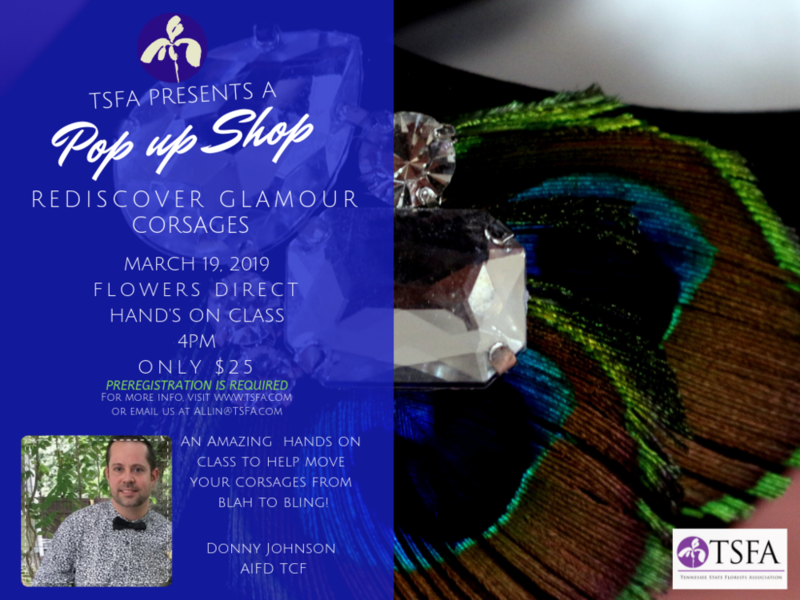 Another TSFA training opportunity for your designers. 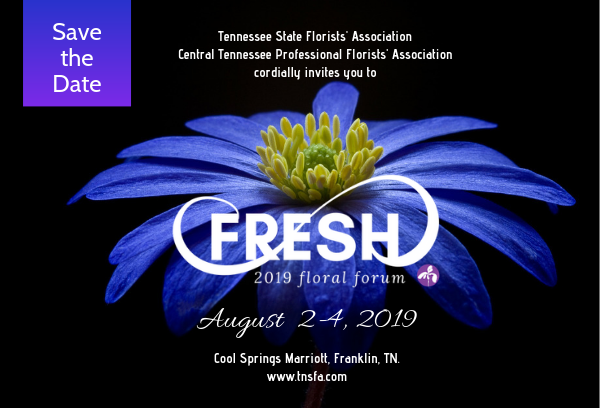 TSFA Board Members and florist volunteer to mentor and work with FFA high school students in Floral Design. Saturday Hands on Design Class & 2 Christmas shows on Sunday. 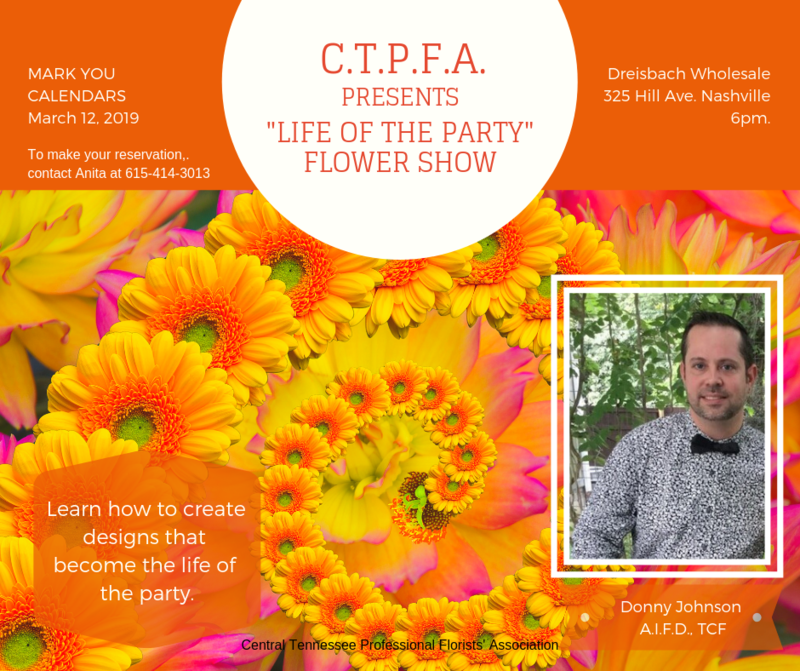 Program features Tommy Newman & Donny Johnson AIFD, CFD, TCF. CTPFA will host their annual Designer of the Year Program featuring 2017 DOTY Daron Frazier.